Offering you a complete choice of products which include gate valves. 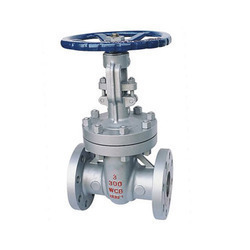 Owing to our years of experience and in-depth knowledge of this domain, we are offering a qualitative range of Gate Valves to the esteemed clients. Offered range of valves is designed & developed by our vendors using premium quality raw material in accordance with the industry laid standards. Widely demanded in the sugar, cement, refineries and fertilizer industries, these precisely-engineered valves are highly acclaimed for their corrosion resistance, highly tensile strength and durability.